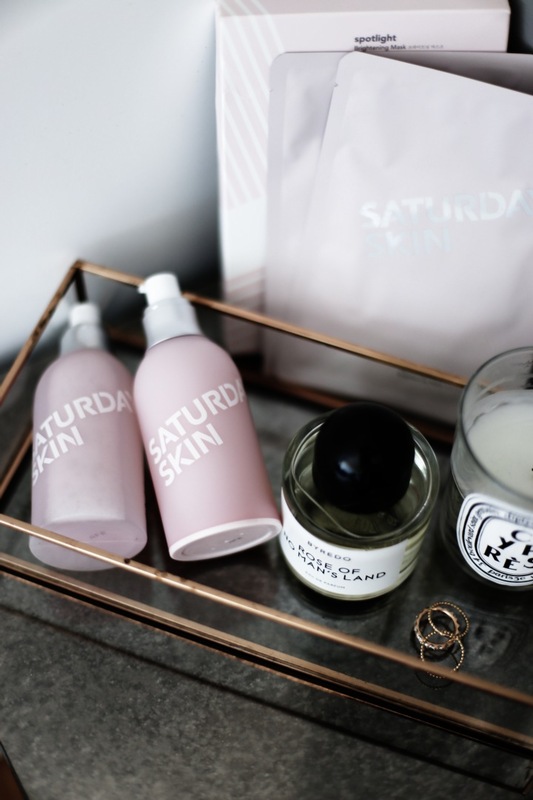 INCORPORATE INTO MY DAILY SKINCARE ROUTINE -- SATURDAY SKIN. THE DAILY DEW IS NOT YOUR ORDINARY MIST. IT'S AN ESSENCE IN MIST FORM THAT HELPS TO NOURISH AND HYRDATE -- TALK ABOUT A DYNAMIC DUO. IS REALLY DELIGHTFUL IN THE MORNING AND AT NIGHT. TIP: I LOVE TO SPRITZ IT ON BEFORE APPLYING MY MAKEUP AND AFTER FOR THAT EXTRA DEWYNESS. THE NAME FREEZE FRAME SPEAKS FOR ITSELF. IT PROVIDES THE BENEFITS FOR MOISTURE, ELASTICITY AND FIRMNESS WITH THE SOLE INGREDIENT OF POMEGRANATE EXTRACTS . TO ME, IT IS THE AWARD WINNING ANTI-AGING MOISTURIZER! THE SPOTLIGHT MASK IS MY GO TO WHEN MY SKIN IS LOOKING DULL. IT CONTAINS LICORICE, LOTUS EXTRACTS AND BILBERRY TO DIMINISH DARK SPOTS, BRIGHTEN YOUR SKIN TONE, REVITALIZE DULL SKIN, SOOTHE AND RESTORE HYDRATION. THIS MASK WILL COME TO THE RESCUE WHEN YOU'RE IN NEED OF BRIGHTER SKIN! SO IF I WERE YOU, I'D HAVE SOME IN STOCK IN CASE YOUR FACE IS IN NEED OF A 9-1-1! 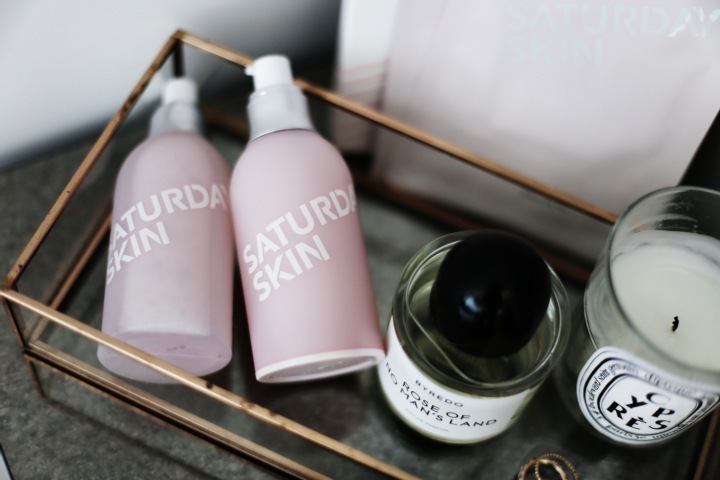 JUST LIKE THE NAME, SATURDAY SKIN, IT BRINGS MY SKIN WEEKEND VIBES EVERYDAY OUT OF THE WEEK! AND CAN WE TALK ABOUT THE PINK PACKAGING? !